Regional Chambers of Commerce from Bristol, Johnson City/Jonesborough/Washington County, Kingsport and Smyth County, the Greene County Partnership and the Joint Economic Development Board of Unicoi County today voiced their unified support for Ballad Health and the health system’s compliance with the COPA. The regional chambers sent a letter of support to Doug Varney, chair of the state’s COPA compliance committee, highlighting Ballad’s implementation of the COPA and some of the many resulting benefits to the region from the merger. Nearly four years ago, the local business community came to the table encouraging the merger of the Wellmont Health System and Mountain States Health Alliance into a dynamic healthcare system for Northeast Tennessee and Southwest Virginia. That support is just a strong and unified today regarding the decisions being made by Ballad since the merger. “It is imperative that Ballad Health retain its ability to fully mobilize its integration plans relative to this region and its primary service areas without undue burden, from any group, other than what the COPA lawfully and comprehensively provides,” the letter states. “Collectively, we support, without exception, the strategies that the Ballad Health governing board, its executive management team and its 15,000-plus team members have exhaustively confirmed over the past year. The Chamber’s joint letter highlighted the many advantages and benefits the merger has produced throughout the region and expressed appreciation to the COPA Compliance Advisory Committee and offered assistance to the committee in any way possible. Below please find the full letter of support. 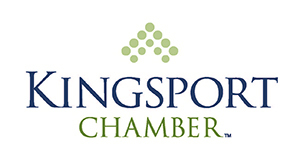 On behalf of the Bristol, Johnson City, Kingsport, and Smyth County VA Chambers of Commerce, Joint Economic Development Board of Unicoi County and the Greene County Partnership, representing more than (3,000) members employing more than (100,000) employees within (10) ten counties in southwest Virginia and east Tennessee, we are pleased to present our support for Ballad Health, currently operating under the guidelines established in the COPA. We are glad that you allow us to share our perspectives on the COPA. The Chambers know firsthand the work that went on during the COPA application phase, and this work has continued with Ballad Health’s governing board and professional team since January 2018. None of our collaboration with Ballad could have occurred without countless hours in planning, assessing, implementing, and developing the strategies around the COPA. One of our first meetings occurred in January where we continued our conversation on the opioid crisis, an area of great concern. Our chambers have formed a consortium of business and health care professionals from SW VA and NE TN who are working on a major planning grant that will look at ways to address this dilemma. Just this past Tuesday, we held a conference call with the US Chamber Foundation who has asked us to be one of ten cities who will launch their Opioid toolkit. This program will be announced at a Workforce Development Summit this coming April. This opportunity grew from a conference call Ballad held with the Chambers last April. So, you see that it takes time to get all of these moving parts moving, but rest assured they are moving. Another major initiative the Chambers are participating in is the Accountable Care Community, where key leaders from business, health care, government, and the region’s United Ways in the two states met to begin addressing all of the population health metrics. We are pleased to say that the Accountable Care Community has entered the next stages of implementation, with the formation of a twenty-person leadership committee and over 150 organizations from NE TN/SW VA working to focus on a few impactful metrics we believe align with the states goals and will fundamentally improve health in the region. Earlier, we mentioned the retention and recruitment of business, and the Chambers and Ballad hosted the first Business Health Collaborative last month which will be a system to effectuate business’ work in addressing health care costs, while offering more benefits to their employees. This first meeting focused on reducing the delivery of low value care and increase high value care – an area where we can lead the nation. More topics will be addressed in future gatherings of business and health care professionals. It is imperative and that Ballad Health retain its ability to fully mobilize its integration plans relative to this region and its primary service areas without undue burden, from any group, other than what the COPA lawfully and comprehensively provides. Collectively, we support, without exception, the strategies that the Ballad Health governing board, its executive management team and its 15,000 plus team members have exhaustively confirmed over the past year. It is clearly convincing that these strategies are in the best interest of the entire region. We also realize, as we did before the merger was completed, that certain services would be realigned to better provide a higher quality continuum of care for ALL patients. Ballad Health has committed to comprehensively serve a large geographic region and has demonstrated that access to and delivery of high-quality health care services are the primary drivers for their well informed decisions. This is evidenced by their commitment to create and enhance trauma care services for the entire region, expand pediatric emergency care for the entire region, expand critical specialty care services, and develop and implement population health improvement programs focused on the reduction of prolific chronic health issues so prevalent in our rural communities. In closing, it has been made very clear that the intent of the COPA is being met by Ballad Health. It is obvious that the board, the executive management team and the 15,000 plus team members are committed to what was envisioned when the two legacy boards first met in 2014 – the creation of a regionally based health system unlike anything created anywhere else responsive to the unique health care needs of this region. The benefits are clearly going to and do outweigh any disadvantages of this merger. We want to thank this Committee, the State, the Ballad governing Board and the Ballad executive management team for your time and listening to all stakeholders. We stand ready to assist in any way possible.